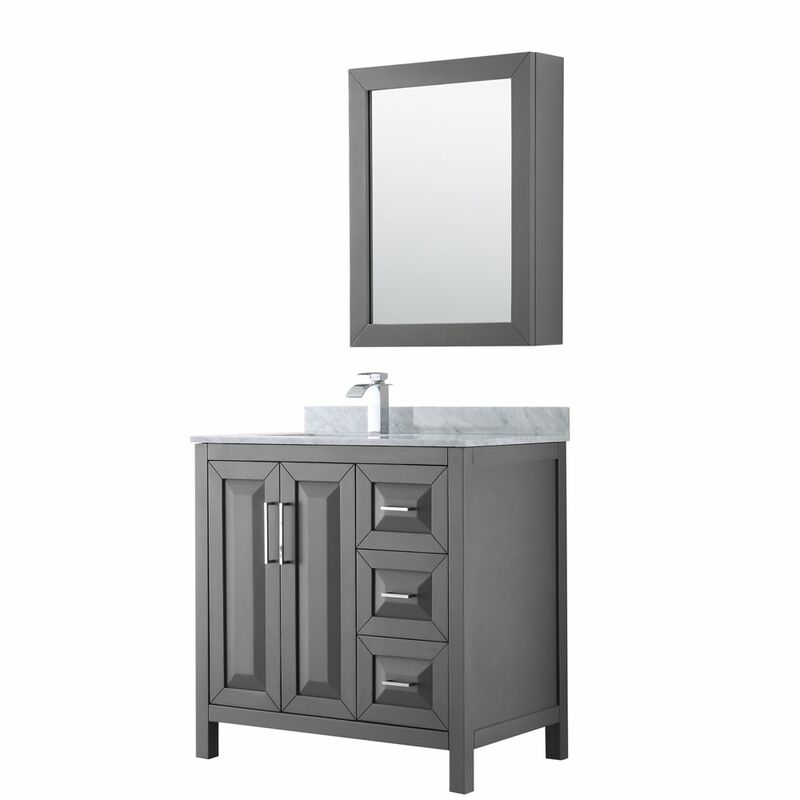 Form meets function with this classic 36" gray Bosconi vanity set. The simple modern lines are accentuated by the ceramic, square Vessel and vertically mounted vanity mirror. Versatile features include a single cabinet with soft closing doors and one detached side cabinet with three drawers. All spacious enough to store towels, toiletries and accessories. Daria 36 inch Single Vanity in Dark Gray, White Carrara Marble Top, Square Sink, Medicine Cabinet The beautiful Daria collection vanities stand out in any bathroom with strong, clean lines, raised panels and elegant counters with square sinks. There's plenty of cabinet space, the fully extending drawers are dovetail construction, and chrome detailing completes the look. Daria vanities deftly combine the function of today with a nod to the elegance of the past. It's the new modern classic styling with a contemporary twist.